There have been a LOT of changes at the Phazes studio. With change come rumors, and with rumors comes misinformation. Today I had THREE people ask me the same questions, so I am going to address all of your questions and try and quiet the crazy rumors flying around! Several times this week I have had someone ask if and when Phazes was shutting down the group fitness classes. Phazes IS NOT SHUTTING DOWN GROUP FITNESS! I know how this rumor started and the start of this rumor has caused a few casualties. Several weeks ago, I sat down and decided I needed to be able to actually write myself a paycheck for the first time in over a year. I needed to find out what makes money and what loses Phazes money. Money lost mean business fails and shuts down which means, lost jobs and programs for people that trusted themselves into my hands. I had to make some tough calls about programs to promote and what our schedule and staffing looked like. I have been stretched thin across 2 businesses and multiple programs within those businesses. I needed to see my kids more often and be a mom, AND I needed to get paid for once. 1 - Dump unit #2 that holds the large babysitting room and go down to a smaller room and save the business over $700/month. 2 - Take the Circuit Group Fitness format of BODY SLAMTM to the city community center in addition to the studio to if it can be successful with a different audience. 3 - Find a business partner or other arrangement to assist in managing the group fitness and studio end of the business so I can have more time to be a mom. As I was working on exploring these options, someone told "Trainer A" that I was dropping group fitness. "Trainer A" assumed a lot and accused me of falsehoods. The more I tried to explain what happened and was needed to happen the worse our relationship became. Things were said that should probably not have been, and I had to let her go. 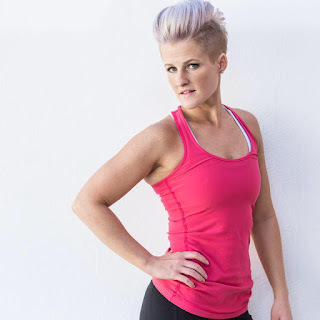 "Trainer A" quickly had a solution for herself and went to another fitness company and told them she could bring her trainers and her clients to them. 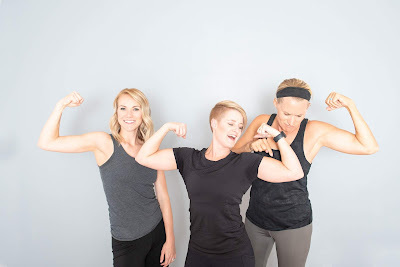 They all - trainers and the other fitness business - of course jumped right on it, which in turn caused even more people to think Phazes dropped group fitness making the rumor worse than it already was in the first place. I want to reasuure you - THIS IS NOT THE CASE! We DO have a NEW schedule and NEW trainers, but just like any fitness businesss, just because a few trainers leave for what they see as greener pastures, it doesn't mean the original business shuts its doors. Phazes has never been about ANY ONE OR TWO trainers! It's about finding the right solution to meet your goals and providing you with a variety of paths to better fitness and health. We will do that no matter what trainers come and go over the years. Since this parting we have brought in new instructors and hope you will enjoy them as much as I do. I decided to hold off on teaching any classes at the community center (which would have given me a paycheck immediately) so I could focus on Phazes again. I am working with a manager/partner solution that will help us to maintain, improve, and expand our programs and quality at our Hurricane location, and eventually offer those programs in different ways in additional areas. We have had a few bumps past month, but I embrace those bumps as learning moments and opportunities for re-evaluation . We are in this for the long haul and have a wide group of trainers to pull from for other classes and programs. Success comes with occasional bumps along the way. Phazes will uphold it's end of your contract! Classes and teachers may change at any moment, but Phazes will keep going and providing you with what we promise. Our commitment is to you, the clients! Phazes is not going anywhere unless that anywhere is to better pastures for you, our clients. As we get all classes finalized and trainers put in the right days and times, we appreciate you patience with this transition. Losing so many trainers at once is hard for a small studio, but it makes room for new faces and new talent to come in. Bootcamps! 4 week intensive training to change your life! next one starts September 16th! BEACH BOOTCAMPS! Watch the schedule for your opportunity get outside and try this fun new program in the sand and surf of Sand Hollow! Many thanks and much success as we work together to meet your fitness goals!